Never heated/Nothing added: Nutrient rich, hydrating, and delicious. 100% ANAO Coconuts: A smaller coconut we harvest young so that all the benefits stay in the water. HPP: Cutting-edge high pressure heatless process for safety and extended shelf life. Each bottle contains approximately the equivalent of 2 fresh ANAO coconuts. SAVE THE AMAZON: For each bottle sold we buy one square foot of the Brazilian Amazon Rainforest to protect the worlds most precious asset. One sip of our raw coconut water, and you’ll feel transported to the beaches of Brazil. Using only the finest, hand-selected Anão coconuts from our plantation in north eastern Brazil, we make the most delicious, hydrating, nutrient-rich coconut water you have ever tasted. Discover why in Brazil, some locals crack open two or three of these small green coconuts a day to drink the magical water held within. With our expert team of agronomists, master coconut cutters and proprietary cold pressing process, we’ve captured that freshness. 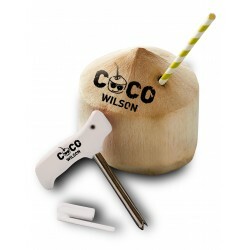 The result is truly the cleanest, most refreshing coconut water. Trust us, the proof is in the water. You need quality grapes to produce quality wine. It’s the same with coconut water. The type of coconuts used to produce the water really matters. Many of the coconut waters on the market today are produced using cheap coconut water. 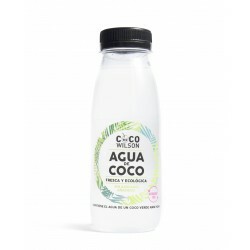 The water is often sourced from a giant Asian variety of coconut that is cultivated primarily for its meat (which is ground down and used to make products such as coconut milk and coconut oil). The water is inferior, and definitely not premium. So if a label does not specify that it is made from Anão coconuts, you should be skeptical of the quality. In Brazil, these delicious Anão coconuts are so refreshing, people drink two to three coconuts per day, cracking them open to enjoy the refreshing and rejuvenating power of the water within. This incredibly hydrating water is rich in potassium and electrolytes, and contains zero fat and zero cholesterol. Plus, it is naturally sweet, with a crisp, clean finish, and without the oily residue and nutty aftertaste of some coconut waters. 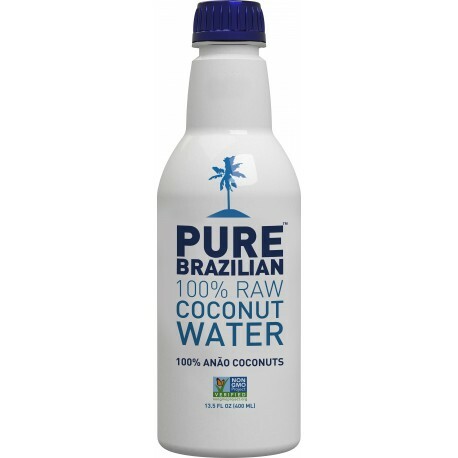 Our coconuts are grown in Brazil, home of the Amazon, one of the richest, purest and most biodiverse regions in the world — and you really can taste the purity in the water.